Product categories of Fence Products, we are specialized manufacturers from China, Weld Mesh Fence, Wire Mesh Fence Panels suppliers/factory, wholesale high-quality products of Wire Mesh Fencing R & D and manufacturing, we have the perfect after-sales service and technical support. Look forward to your cooperation! 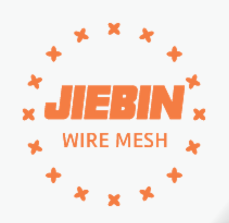 HEBEI JIEBIN Wire Mesh Product Co., Ltd. integrates wire mesh research, development, production, sale and post-sale service. We are one of the comprehensive Wire Mesh Products manufacturing company in Anping. Among a wide category of our products, we are most active in building material & Metal Fence products. Including Mesh Fence, Palisade Fence, Temporary Fence, Field Fence Netting, Security Euro Fence, Wall Spike Fence, 358Fence, etc. And a high percentage of our export is based on these Fence Products.